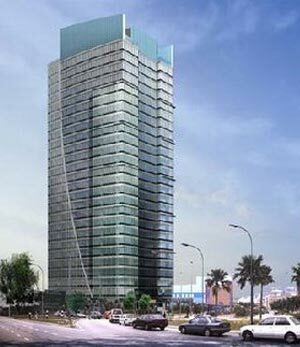 Surian Tower is owned by a large Malaysian conglomerate and is located in the relatively new commercial area of Mutiara Damansara. It is located on Persiaran Surian and nearby to Ikea, The Curve, Ikano Power Centre, and e @ The Curve. Surian Towers’ anchor tenant is Nestle, which moved in in mid October 2009. The new Surian MRT station is within walking distance and will surely bring an influx of office tenants and walking traffic to the area.